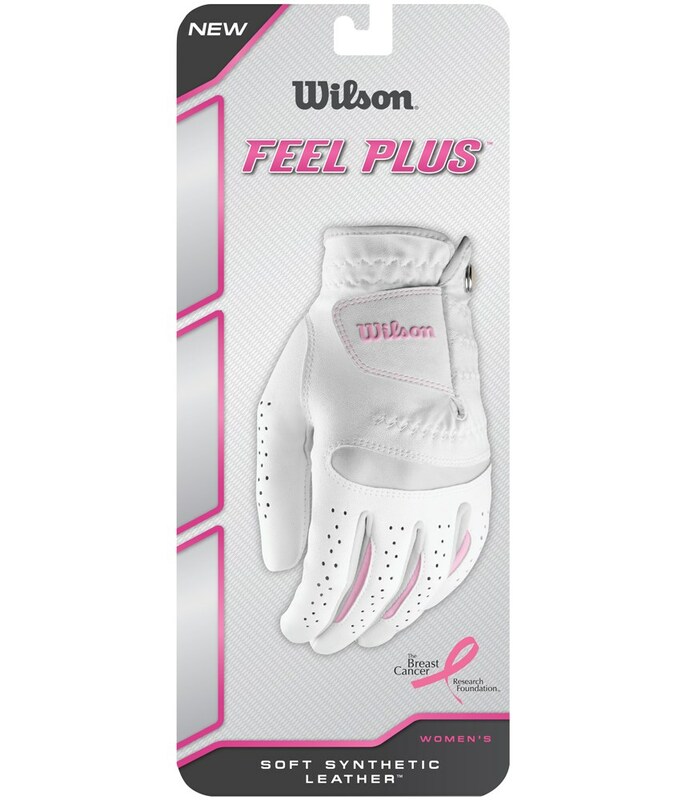 Sizing Guide The Wilson Staff Ladies Feel Plus golf glove features a leather palm patch for exceptional grip in all kinds of weather conditions and a synthetic microfiber to provide the durability and breathability to give you a comfortable long lasting fit. 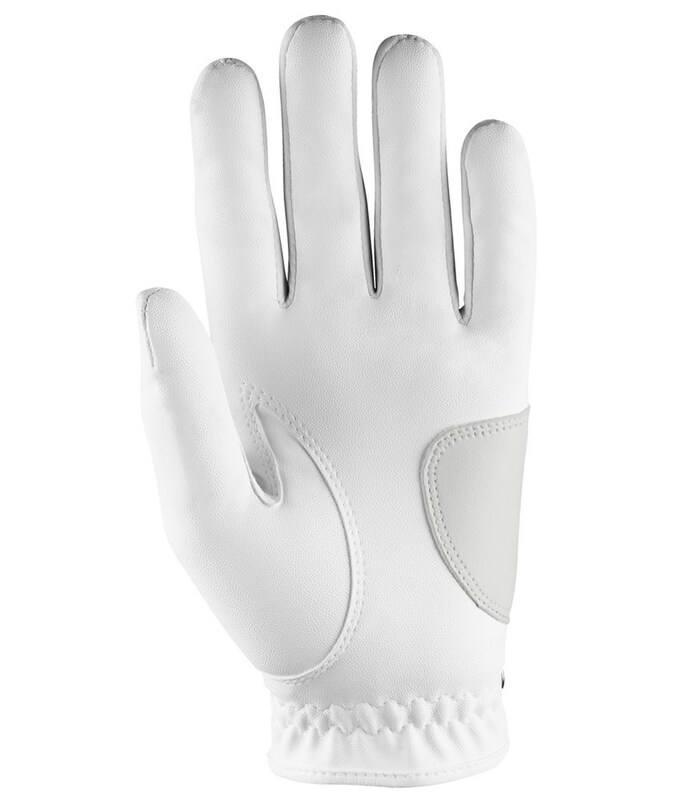 Wilson Staff have used CoolMax mesh knuckles to enhance the fit and give your hand incredible flexibility when gripping the golf club. 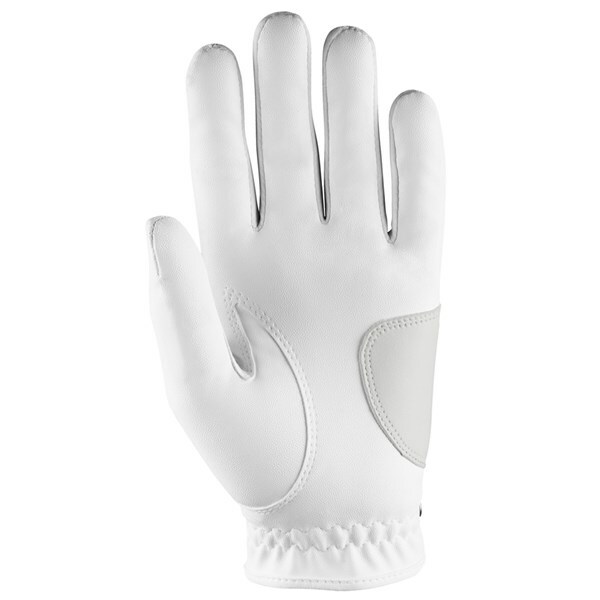 The CoolMax in the fingers helps wick away moisture on hot days so that the glove stays in place to guarantee the best possible connection with the club. 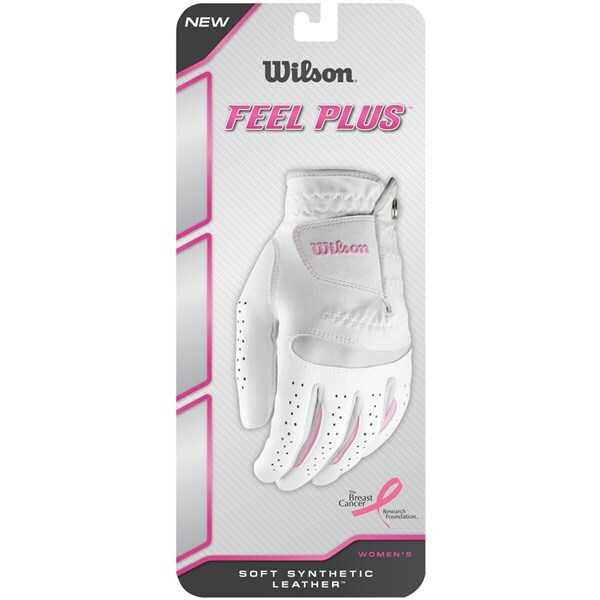 Soft microfiber synthetic for comfortable feel, sensitive touch, durable wear.